French developers DONTNOD Entertainment have been creating a name for themselves over the past five or so years as self-professed ‘AA’ developers. As a tight and talented team, they count their smaller studio size as a strength as it makes them creatively flexible and able to forge their own path, with their own style. Their debut effort Remember Me was generally well received, but it’s their breakout series Life is Strange that has earned them somewhat of a cult following and has people eagerly anticipating the studio’s next big title, Vampyr. Recently we had the chance to sit down with Narrative Director Stephane Beauverger and ask him about what he thinks of sparkling in the sunlight, the difficulties of upholding the Hippocratic oath in the face of overwhelming hunger for human blood, and about the timeless classic Vampire Rain. WP: Vampires have been a persistent force across the centuries and have appeared in all mediums of entertainment. Where does your image of vampires fit in? Are we talking classic aversion to garlic and crosses or will Reid sparkle in the sunlight? SB: We have crafted our own lore, but “Vampyr” is partly a homage to the classic vampire figure. So, no sparking in the sunlight, but certainly an interdiction of entering an inhabited house without being invited first, as well as a fear of religious symbols. WP: How long has Vampyr been in development for? WP: What was the main source of inspiration for Vampyr’s premise? Why the Spanish Flu? SB: We were searching for a chaotic era of scientific progress. 1918, with the end of World War I and the worldwide deadly Spanish Flu epidemic, was a great setting for us to tell the story of a scientist who becomes a vampire. WP: How much research went into making Vampyr’s early 1900s London setting as authentic as possible? SB: We spent months gathering articles and documentaries about medical facilities, how Londoners coped with the epidemic, what was the extent of general medical knowledge at the time, etc. We also did a lot of research into clothes, hairstyles (we’ve read some comments about the “hipster” hairstyle of the Hero, but that was actually a common haircut at the time – watch the TV show Peaky Blinders and you’ll see what I mean), architecture and lifestyles. WP: In 2017 the game was delayed due to ‘technical issues’. Are you able to expand on that at all? How much of a benefit has the extra development time been? SB: This delay allowed us enough time to finish up the polishing and balancing phase, much needed for a game of Vampyr’s scope. WP: Both of your previous games featured female leads, was there a particular reason for going with a male lead in Vampyr? SB: Yes. It was illegal at the time for a woman to be a doctor in England. Since our main character was an English surgeon and blood transfusion specialist who just came back from the war, he had to be male. WP: From a writing perspective, what are the major differences in writing for a male lead as opposed to a female lead? If any. SB: I don’t see any major difference. In a narrative game, consistency is the key feature to create an interesting character: consistency of flaws, attitudes and psychological traits. Otherwise you are just creating cliché or archetypal characters, and that’s almost never a good option for a lead. Thus, when you write down the character sheet of a hero or heroine, it is less a question of gender than a question of inner coherence and resonance. WP: We see that Reid is conflicted between his desire for blood and his upholding of the Hippocratic Oath, so as a player we get to choose whether to do no harm or do a lot of harm. What are the benefits of playing as a saviour versus playing as a sinner? Is one playstyle harder than the other or do they both offer balanced rewards? SB: Due to one of our core gameplay mechanics, it will be far more difficult to play as a compassionate vampire. To incentivise the player to take lives, the largest source of XP comes from the blood of London’s citizens. This means if you want to level up quickly and more easily defeat your enemies, the game incites you to drink blood. However, when you do this, you alter the delicate balance of London’s districts, already made fragile by the epidemic – you may even lose an entire district of the game (since everybody died, you lose the merchants, the secondary quests, etc.) if you kill too many people, too quickly. WP: We saw in the pre-alpha footage that NPCs have certain blood quality. What does snacking on good quality versus bad quality blood mean in terms of gameplay? Does this feed into the experience system? WP: Can you tell us about the implementation of RPG systems in the game? Do the saviour/sinner playstyles have their own distinct abilities? WP: We see a fair amount of melee combat in the pre-alpha gameplay you’ve shown off as well in the web series you guys have been producing around the game. How varied is the arsenal that Reid will have at his disposal and how customisable/upgradeable is it? SB: Jonathan can use a classic RPG arsenal: blunt and slashing weapons, quick one-handed or slower but deadlier two-handed weapons, pistols, crossbows, shotguns. He can also use off-hand weapons like surgical knives or wooden stakes to inflict bleeding damages or stun his enemies. All these weapons have five levels of upgrade through crafting for greater damage and efficiency. Players can also craft additional effects for each weapon to finetune their combat styles: bullets with chemical damage, or a blade with less stamina consumption, for example. WP: You’ve mentioned previously that Reid will fight a mixture of enemies, including humans, vampires and werewolf-like hybrids. Can Dr Reid befriend anyone during the campaign to assist him? Or is he fighting this battle alone? SB: Jonathan is something of a loner and will fight his battles alone. But he will be able to find allies throughout the game, who will provide him information or give him access to rarer items or craft ingredients. WP: In Life is Strange your dialogue choices could cause lasting consequences. Can we expect a similar system with Vampyr’s dialogue? SB: Yes. Even if of a different nature and structure, many decisions made by the player through dialogues will have consequences on the main storyline. Another major pool of consequences is linked to the NPCs the player chooses to spare and those he chooses to sacrifice. And, contrary to LIS, there is no rewind in Vampyr. All decisions are final. WP: In terms of scope, this game appears quite ambitious. How big are each of the districts? How many hours will it take to see all that Vampyr has to offer? 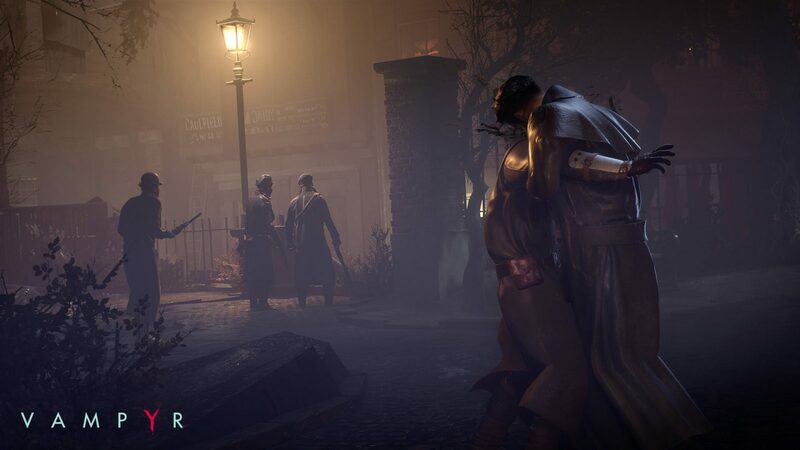 SB: According to our tests, it takes about 20 hours to finish Vampyr’s main storyline, and about 30 hours if a player spends time achieving the secondary quests, gathering the collectibles, and finding all the hidden secrets of the game. WP: Are players able to travel between districts between missions or is the story on a fairly linear path? 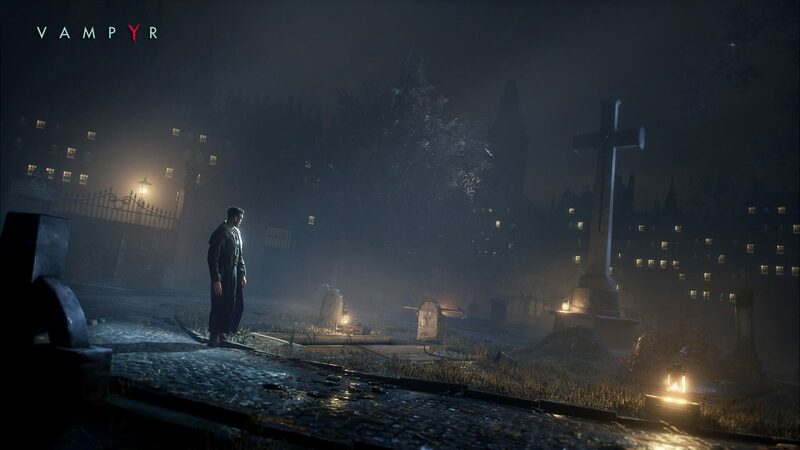 SB: After the first hour of the game, which is more linear to give each player time to pass the tutorial and master their first vampire skills, the game becomes a semi-open world. That means players can freely roam wherever they want, even in the deadliest territories. Only one district of the game will be locked until the second half of the game, for storyline purpose. WP: Without giving anything away, are you hoping that Vampyr can share the same success as Life is Strange and demand a sequel? 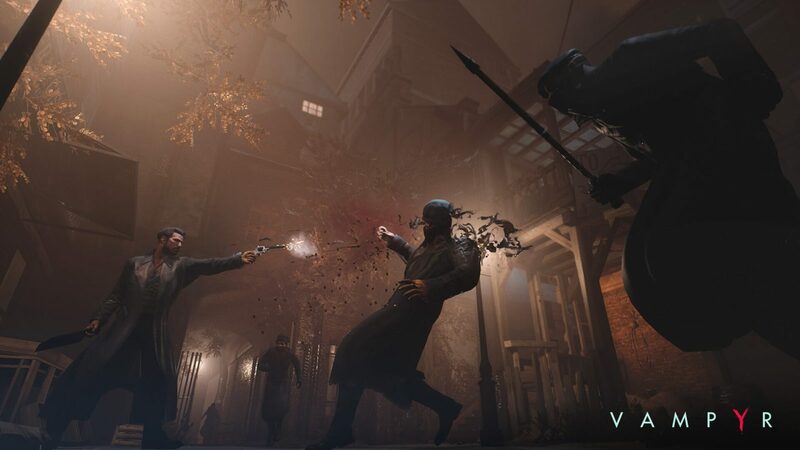 Is Vampyr’s world built for multiple stories? SB: Any game developer wishes their project will become a major hit. 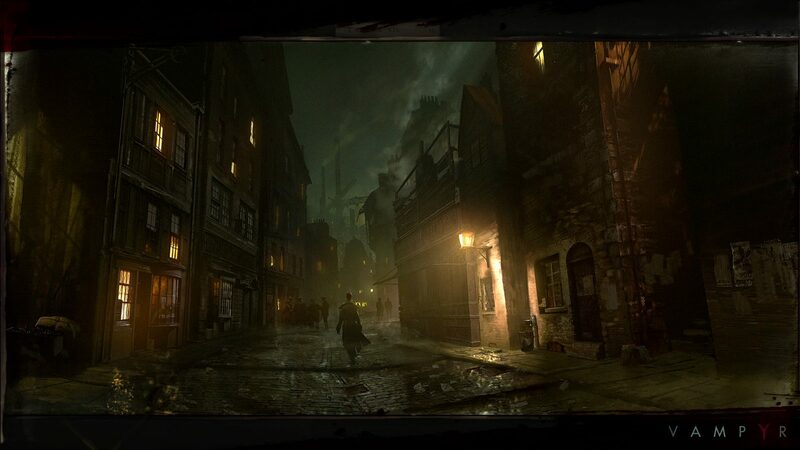 From a writing and narrative perspective, the lore of Vampyr has been created to be deployed in various setting and times. Vampires are – almost – immortals, so they can have many adventures in different eras and different parts of the world. As the Narrative Director, it is my duty to think about a possible sequel or DLC in advance of the game’s release. That’s part of the job. WP: Have you played Vampire Rain and was this an inspiration during your work? WP: Australia was not immune to the Spanish Flu and also had a widespread outbreak. Did you ever consider Australia, in particular Melbourne, as an ideal setting for Vampyr? Could you ever see yourselves developing a game set in Australia? WP: Thank you for your time. Good luck with Vampyr’s launch. Vampyr releases for PS4, Xbox One and PC on June 5. Be sure to head over to the official site for more details, including an in-depth webseries that shines a light on the conception and execution of Vampyr.